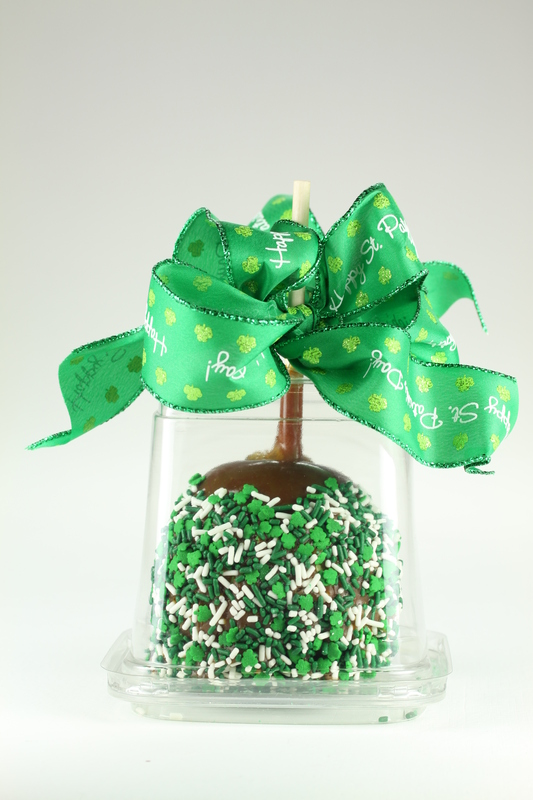 St. Patrick’s Day Caramel Apple created with Daffy Apple Traditional Caramel. Add shamrock sprinkles and ribbon for a festively green treat! Posted in Bulk Caramel, Daffy Farms, Decorating Ideas, Delicious Pictures, The Daffy Apple and tagged bulk caramel, caramel, caramel apple, caramel apples, daffy apple, daffy farms, green, sprinkles, st. patrick's day, traditional on March 17, 2014 by daffyfarmsblog.